My name is Terry Baum and I am a wish granter with Make-A-Wish Central New York. Recently I completed my 33rd wish. These wishes have brought joy to not only me but also to the 33 children and their families over the past eleven years. I became a wish granter for many reasons but a couple still stand out in my mind today. My nephew was granted a wish in 2002 after being diagnosed with a life-altering condition. After he and his family returned home from their trip to Disney World my sisters and I became wish granters. You could say we felt the need to “pay it forward.” Another reason I joined Make-A-Wish Central New York was because I missed my connection with children after being an educator for 27 years. I knew if I became a wish granter I would be able to reconnect with many children of various ages! I have never regretted this decision. I have met many wonderful families throughout these 11 years. A wish granter naturally becomes attached to these children and their families, yet maintains professional boundaries. We communicate with wish kids and families sometimes on a weekly basis to “check in” or provide necessary information as their wish approaches. One such wish that touched my heart was provided to a beautiful young princess – 4 year old, Sadie. 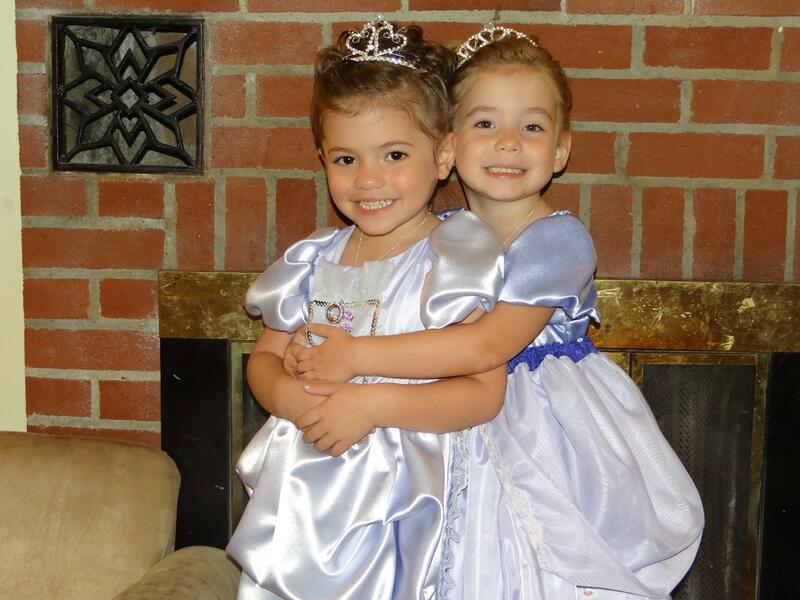 Sadie wished to go to Disney World with her twin sister, Layla. She was hoping to meet Princess Sofia the First. Like with all wishes, my wish partner Julie Osborn and I brainstormed how we could enhance Sadie’s overall wish experience and announcement party so that it was unique and special for her. We planned a special “Royal Ball” themed party just for them. A professional photographer donated her services along with her photo booth and props for all to use. 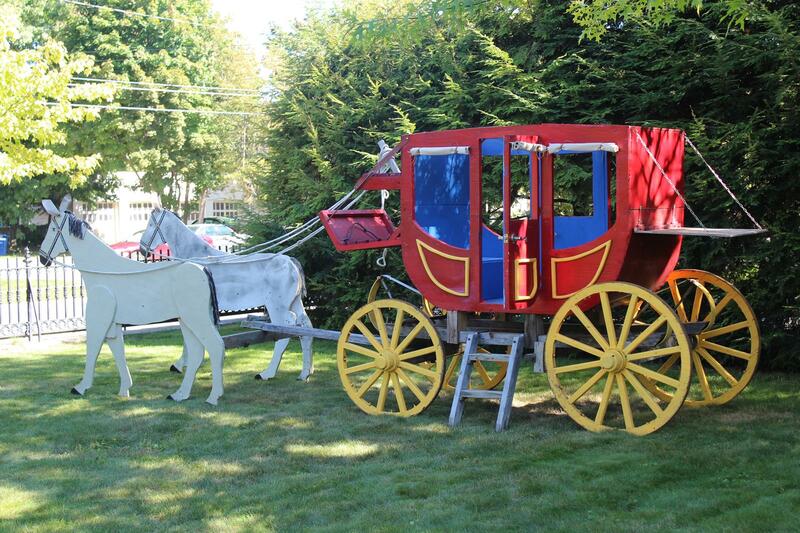 When we arrived at the Kingsford House formal ballroom, the twins were surprised to find a horse drawn carriage on the lawn depicting Cinderella’s Royal Coach. The princesses for the day readily hopped into the carriage for much awaited photos. 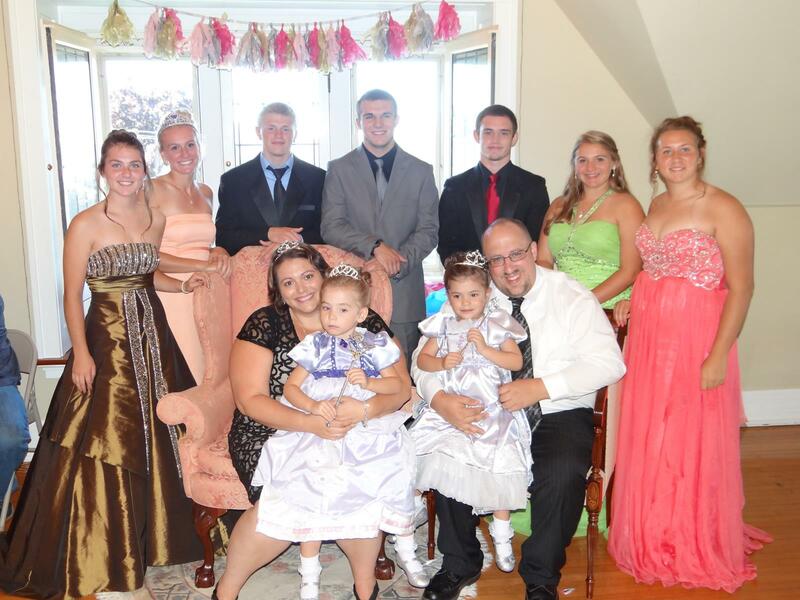 After the photos were taken, Sadie and her family were escorted upstairs to the ballroom by her royal court of 3 lords and 4 ladies. The highlight of the afternoon was when one of the lords read the scrolled, royal decree stating that Sadie’s wish to go to Disney World was going to be granted! The members of the Royal Court proceeded to hand out gifts to Sadie. Seeing wishes come true is always very special for me as a wish granter. I am often overwhelmed at the generosity of our local community. When we solicit donations or ask for special help – like using the Kingsford House ballroom and horse-drawn carriage, we are frequently given whatever we need! As with most wishes, the community came together for this little girl. This incredible generosity that we see time and time again, makes our job as wish granters easy. But, more importantly for one day, Sadie was a royal princess who could briefly forget about her illness.